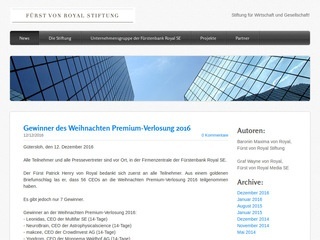 This release mainly features a the possibility to perform a merger of two companies. A merger unites two companies into one. The acquiring company takes over the acquired company. For performing a merger a poll has to be iniated in advance. Initiating a merger poll will ask the company's shareholder for merging the company into the currently selected company of the poll initiator. The shareholders have to accept the maximum cash to be paid to them offered by the acquiring company. With the start of the poll a special purpose company is founded and the needed amount of cash is transferred to it. If the poll succeeds, a merger is announced and all running polls of all kinds are cancelled. After that starting new polls is not possible until the merger is over. During the merger the company's portfolio positions are transferred to the acquiring company. The average buying price of the positions is preserved while transferring the pieces to the portfolio. All achievements that the acquiring company has not reached yet are transferred from the acquired to the acquring company. In case that the acquired company is a bank the acquiring company gets the banking license as well. Existing bonds of the company are kept and the issuer changes to the acquiring company. 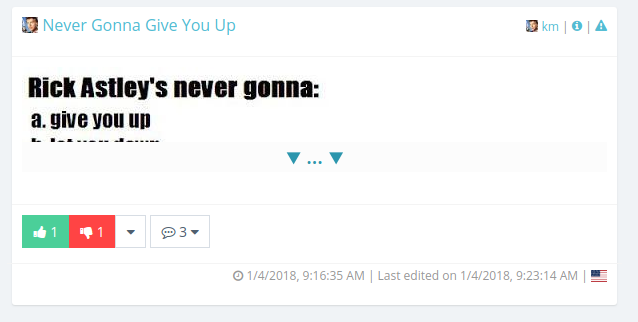 Group chats and 1on1 chats get a bigger icon left to the chat's name to make it more obvious. 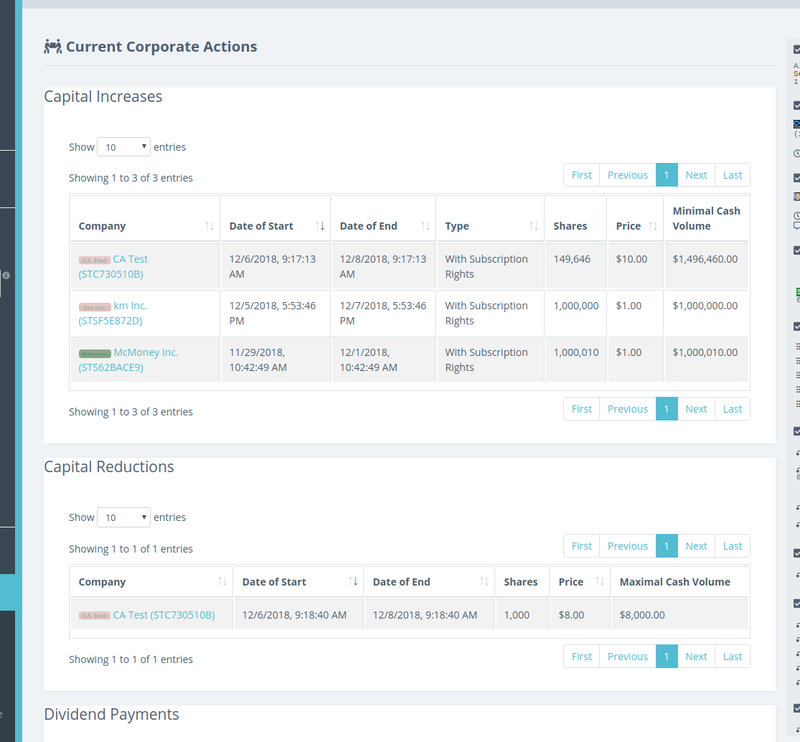 This minor release serves as preparation for an upcoming big release with corporate actions. Stay tuned! 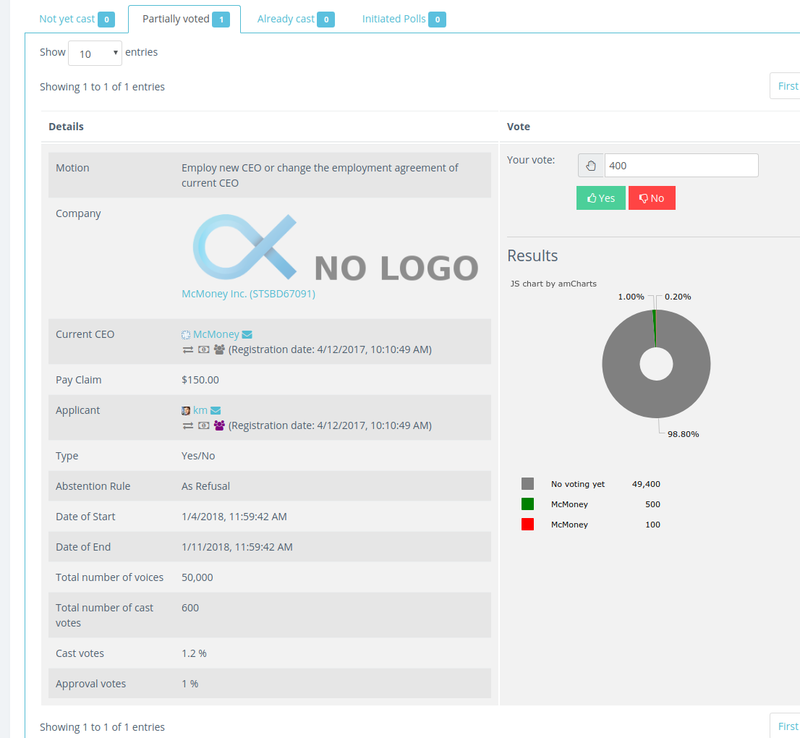 If a company has no logo the website will generate a company logo by itself. 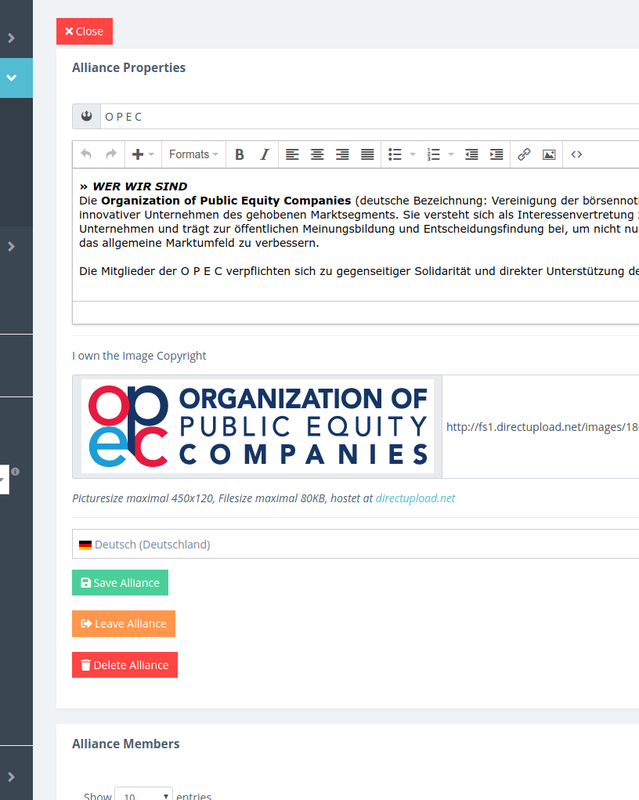 The headlines of the right sidebar sections are links to several market tables which can be accessed from the left sidebar navigation as well. All links lead to pages containing a table with detailed information. Short after the last release the next one is available. 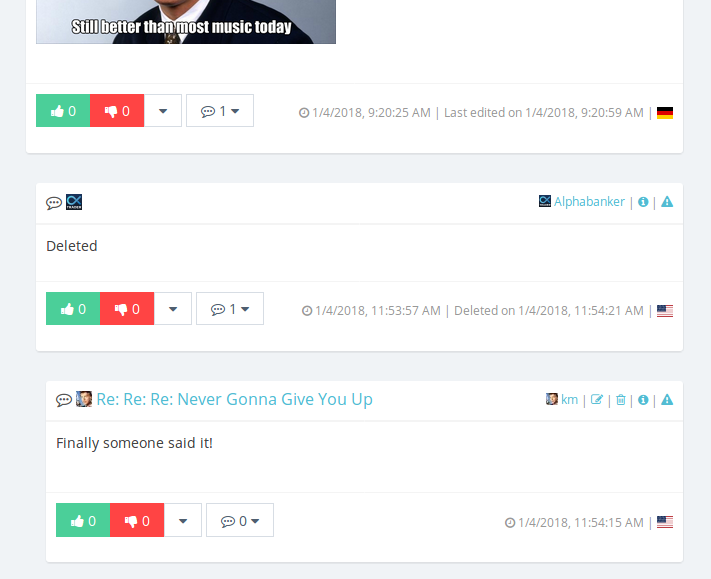 This time featuring the brand new android app available in the Google Play Store, Cerebro974 as our new Head of Community Management and a new poll for changing the name of a company. 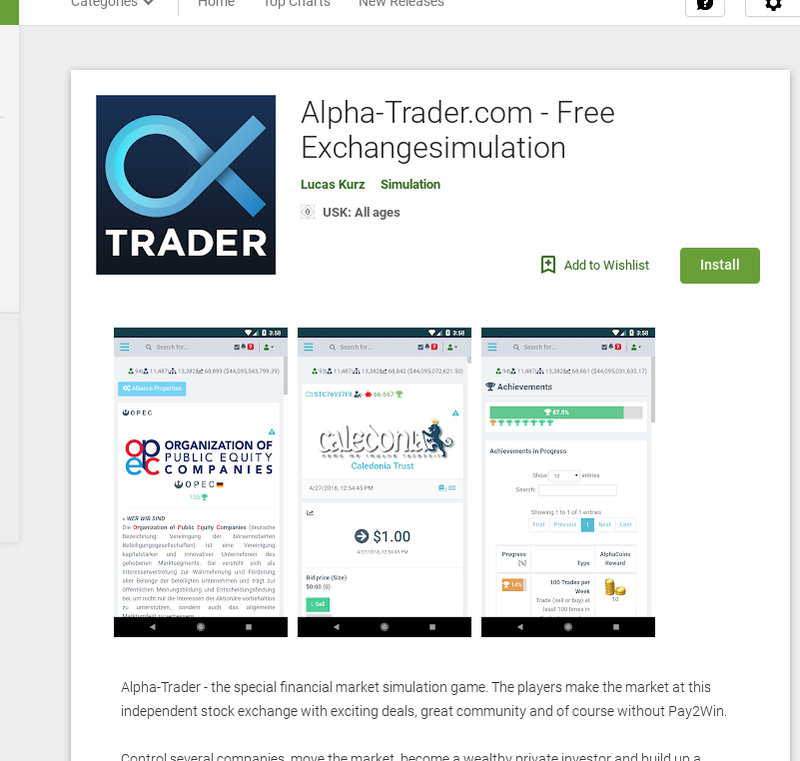 Alpha-Trader.com does not only offer the PWA and a messaging app in the Google Play Store, there is a new android app there available too. Thanks to our UI developer of the first hour the Senior Developer of Mobile Technologies taker93 we are now able to provide you an even better mobile experience. 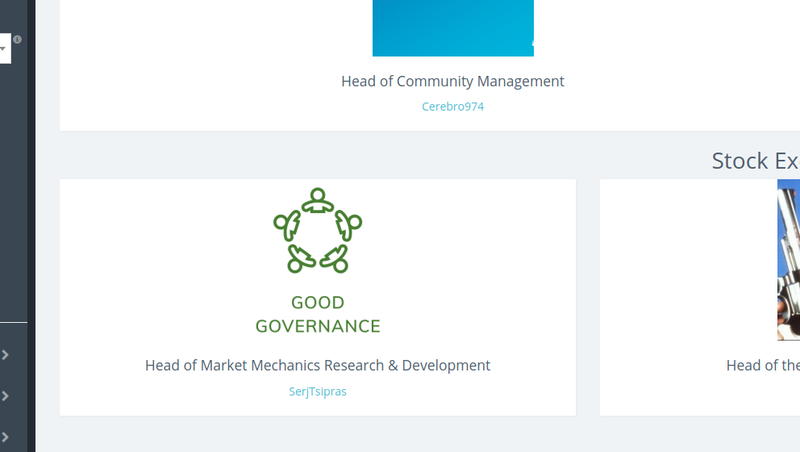 Cerebro974 joins as new Head of Community Management. His wealth of experience and knowledge as community manager has already made him a key addition to the Alpha-Trader family. We proudly welcome him and are looking forward to working together with him. 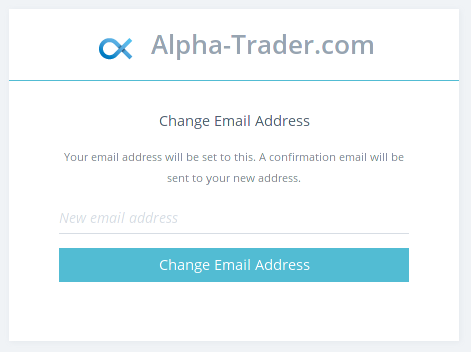 He is also an official member of the Alpha Trader Network with his partner website. The CEO of a company can now ask the shareholders to accept a new company name. 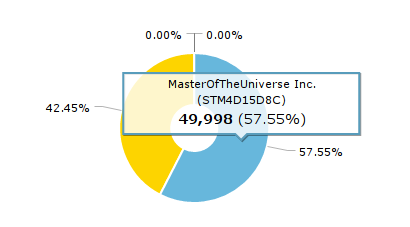 If the CEO has more than 50.0% of the voices the poll is executed right away. Alpha is the excess return of an investment in relation to the return of a benchmark index. It shows how much an investment beat a benchmark. 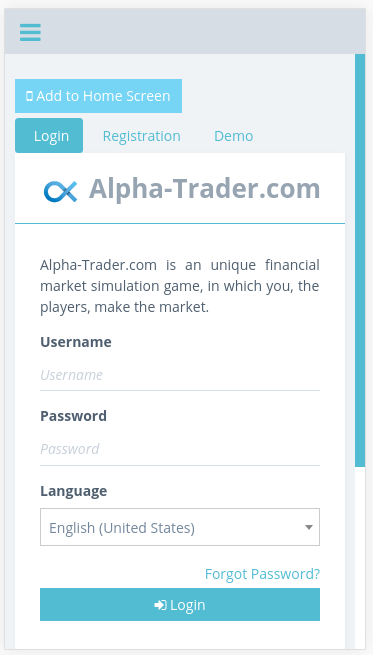 If you keep on beating the market you are a alpha trader and your strategy can be called alpha trading. 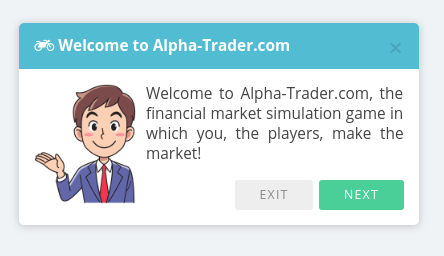 In this release for our beloved market simulation game we focused on two new features: Minimal statistics and a second sidebar with a lot of interesting market information for the right side. 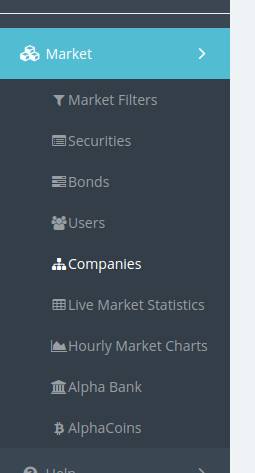 In the upper right corner you can now get some current statistics about the market. 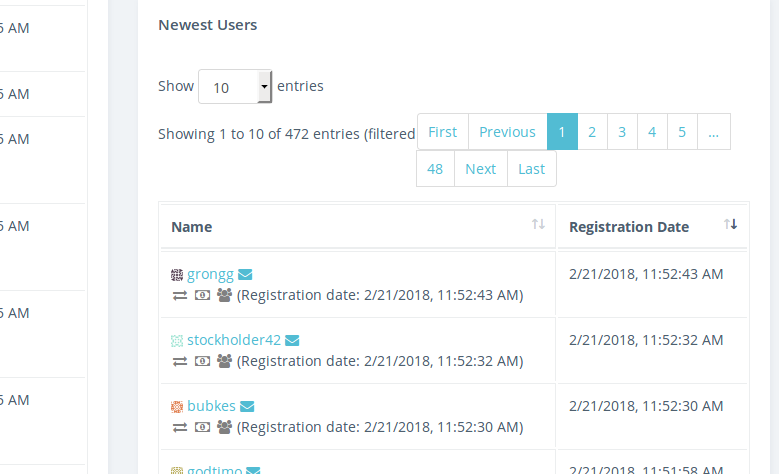 You can see how many users are online, how many users are registered overall, the number of existing companies and the number of trades of the last 24 hours with the corresponding trading volume in braces. 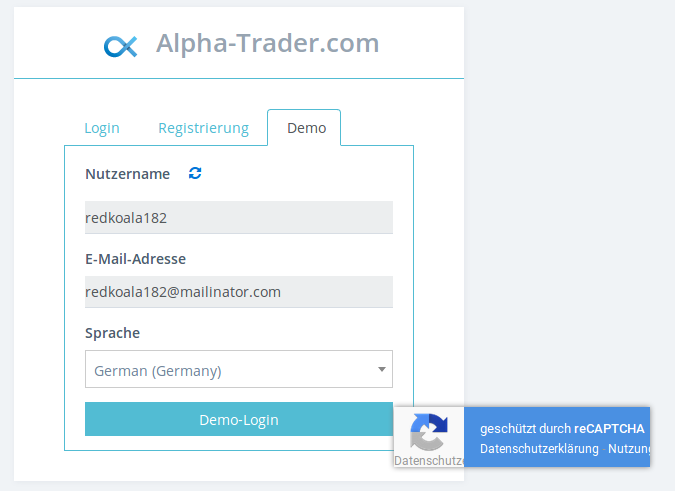 Those statistics are even presented on the login and registration page to show unregistered and currently not logged in users that there is ongoing trading action in this trader simulation game. 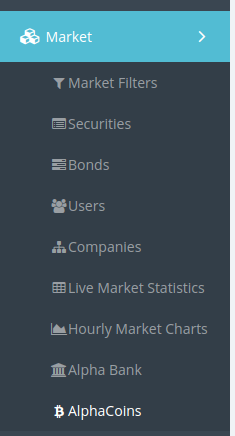 The new sidebar on the right offers traders compact information of the market. 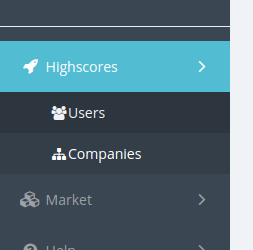 It's possible to use the small triangle button next to the minimal statistics to hide the sidebar. 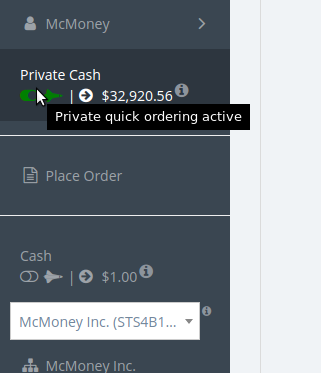 The sidebar will stay hidden as long as you do not click the toggle button again. If the layout on the left demands too much space or if you are using a small screen (smartphone or tablet for example) the sidebar will automatically hide itself. 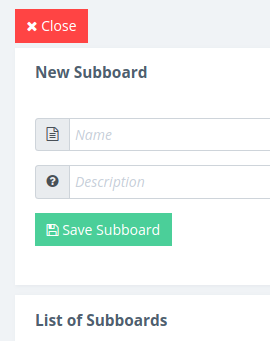 In contrast to you clicking the button this is just temporarily until there is enough screen space available to display the sidebar. Most information displayed in the right sidebar should be self-explanatory. 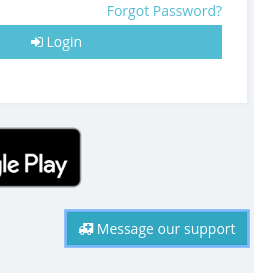 In those cases in which it is not, there is explaining help available via the small round 'i' buttons. 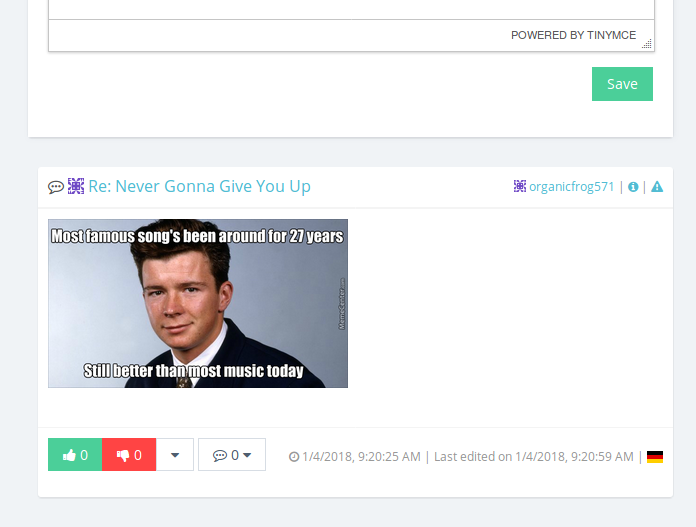 All information in the sidebar is updated automatically and regularly. 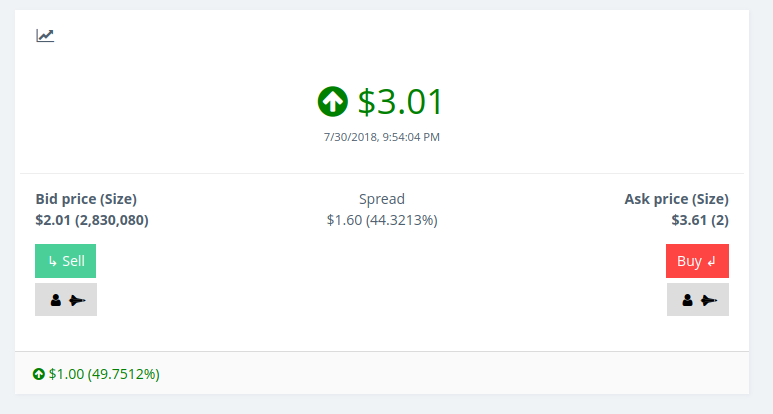 Price information is even updated instantly. 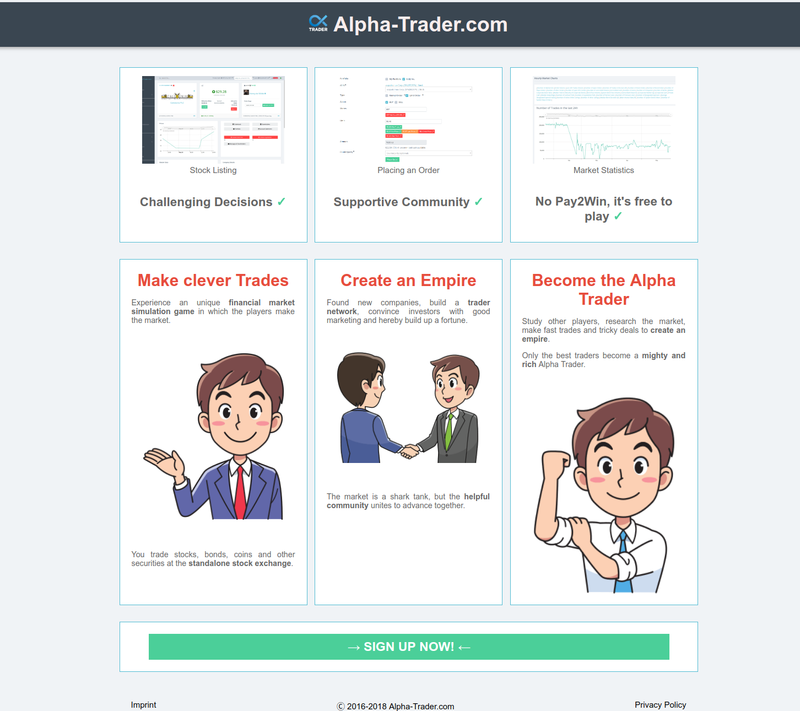 Letting the sidebar present all information offers a lot of insight about the market for alpha desktop traders, but it can be too much. 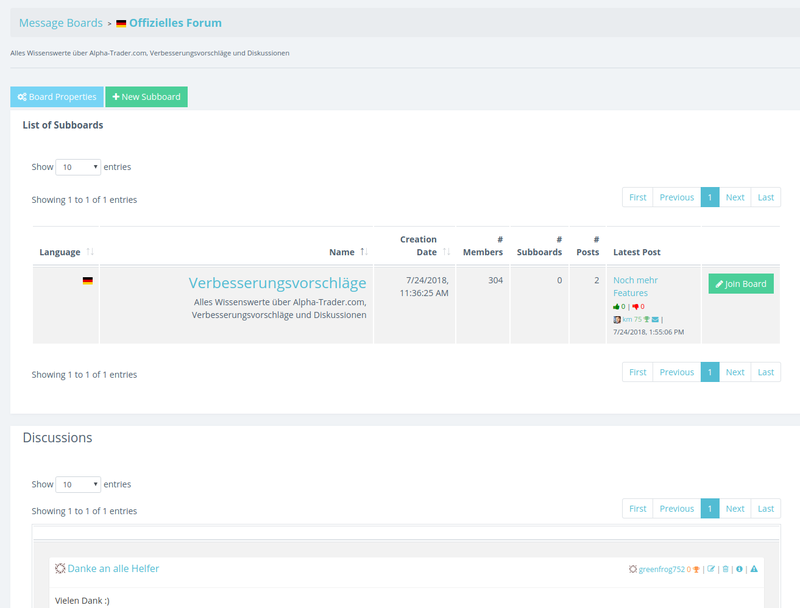 If you do not need all infos and statistics at hand or if you prefer a more compact view of it, you can choose which blocks you wanna see and which you wnat to hide. 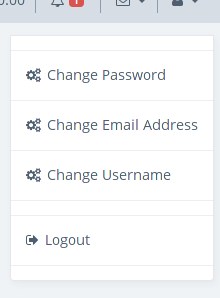 You can use the small checkboxes next to the titles of the blocks. This decision is saved too and you will from then on only see those info blocks that you wanted to see. Sometimes presenting the complete infos available would clutter the sidebar and destroy the layout. 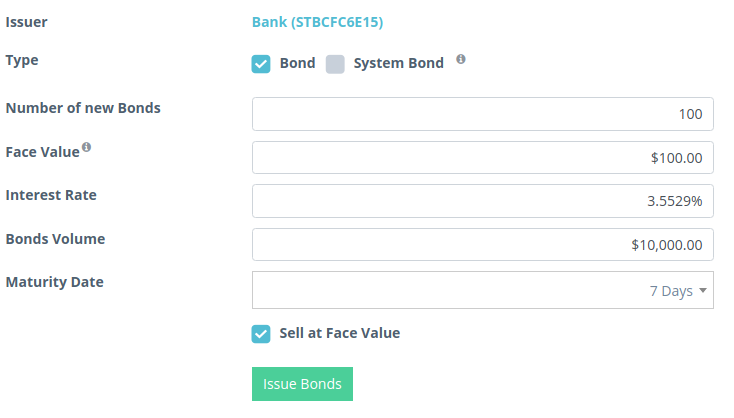 For example for maturing bonds it is unnecessary to present the complete bond name and ASIN all the time. 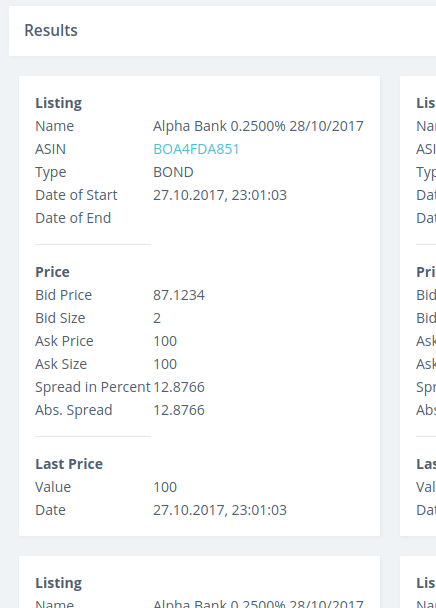 If you think a ASIN and the ask price look promising hover with the mouse over the link to get more information. 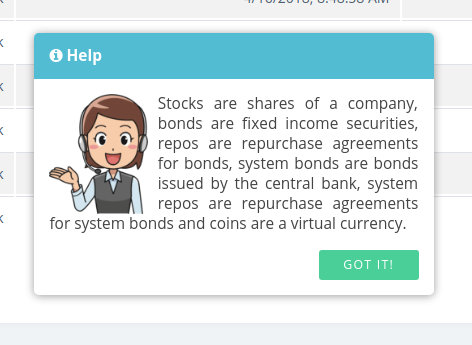 This works on all linked securities. 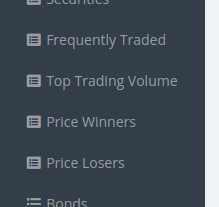 The sidebar offers information about new orders, latest news postings, latest message board postings, bonds close to their maturing date, stocks that were most frequently traded in the last 24 hours, stocks that had the biggest trading volume in the last 24 hours, price winners and losers regarding the difference of their last closing prices, newest companies that were founded by players or spare companies founded by Alphabanker, interest rates, best companies, best users and best alliances. This release features four big changes. To allow players to collaborate and play together alliances were added. An alliance is a group of players that unite. It comes along with a message board and chat. An alliance has a name, a formatted description, a locale and members. You can change its name, its description, its logo and its logo with the alliance properties. Members can be added or removed and existing memberships can be adjusted there too. The usage should be well-known already from chatrooms and message boards. 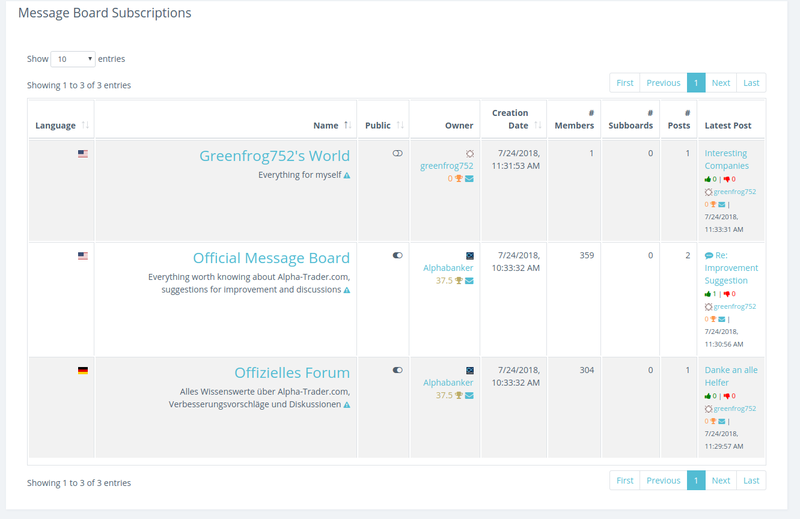 Once a user joined or create an alliance it will be visible on the user's profile page. 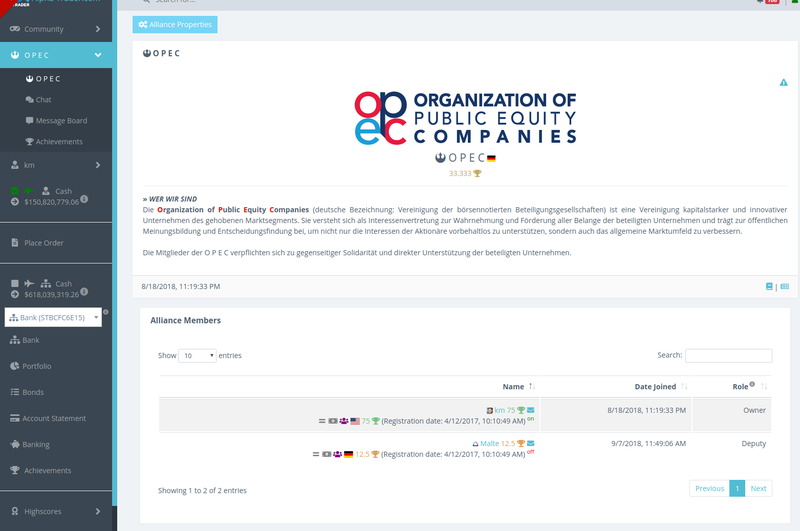 It shows the alliance and the role of the user's membership. 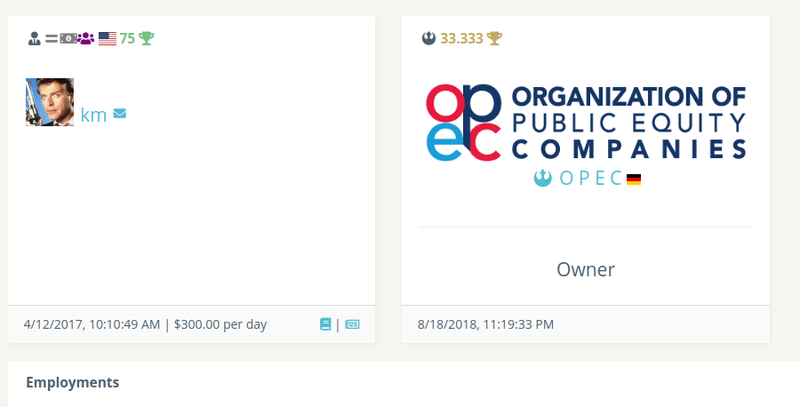 To find existing alliances or found a new one you can check out the Community->Alliances page. All alliances take part in the alliance highscores. Every highscore including those of users and companies has now a descriptive subtitle to its tile. The alliance's chat and message board are only loosely connected to the alliance. 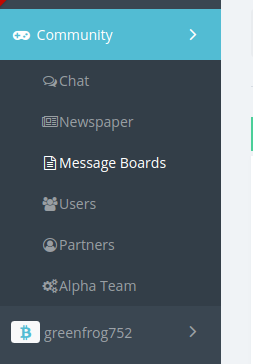 If a member joins or leaves the alliance it is automatically added as an author to the alliance's chat and message board. 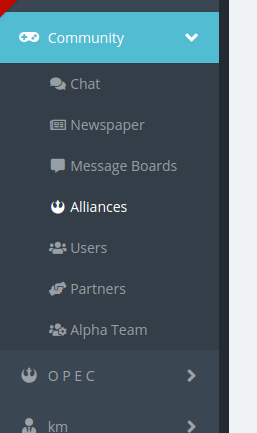 The owner of the alliance can then adjust permissions in the chat and message board and even add users to them that are not a member of the alliance (yet). This way it is possible for alliances to cooperate closely without the need of unifying the alliances too. 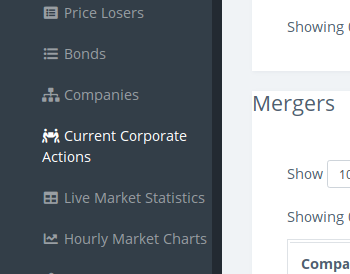 Alliances, Companies and Users now have history pages. The history keeps track on major milestones and changes. 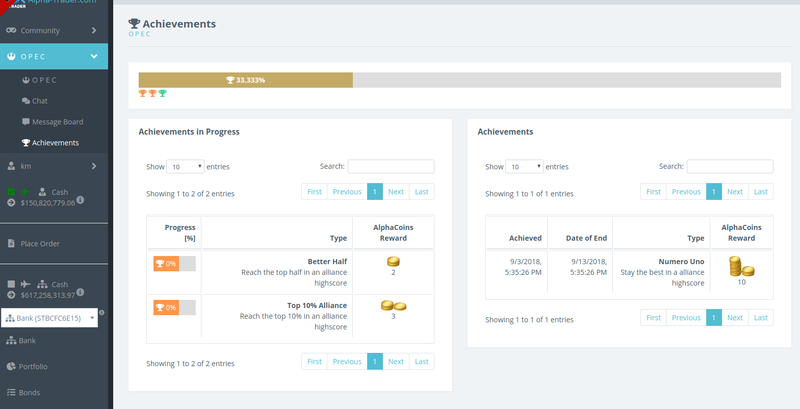 Not only users can earn achievements, companies can earn AlphaCoins and trophies through reaching certain achievment goals. Alliances can earn achievements too. Once an alliance reached a new achievement, all logged in members are informed about it. Every member of the alliance can then collect the reward which is then sent to all members equally. All icons were upgraded to the latest Font Awesome icon set. 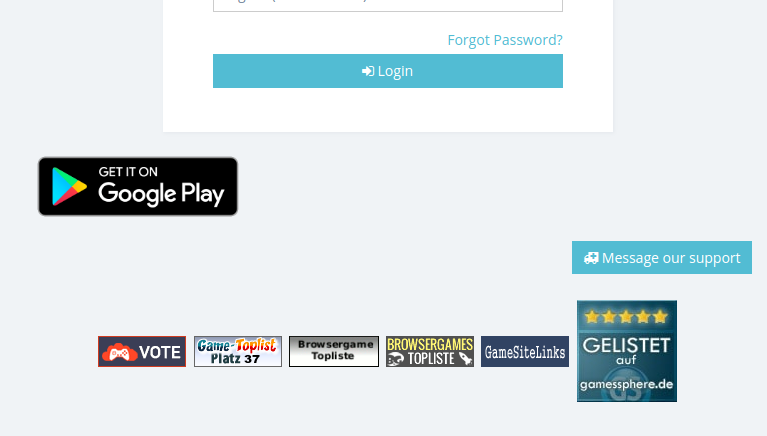 In the course of that all buttons and page titles got icons. Some icons were changed to represent their use case better. 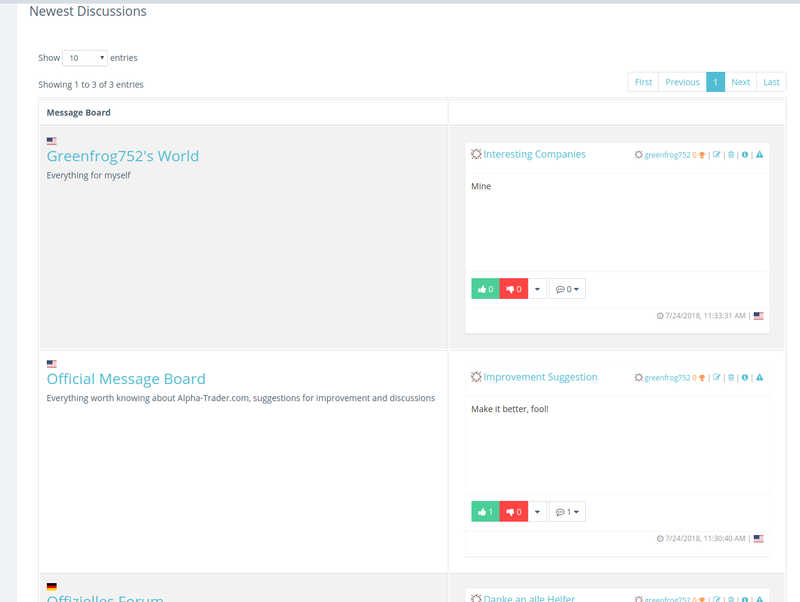 Historized Data for Listings & Companies, 2 Employ CEO Polls, Localized Lobby Chats etc. This release includes several smaller changes and one big feature. Let's have a look at the biggest feature first. Every 24 hours the most important data of listings are fixed and historized. 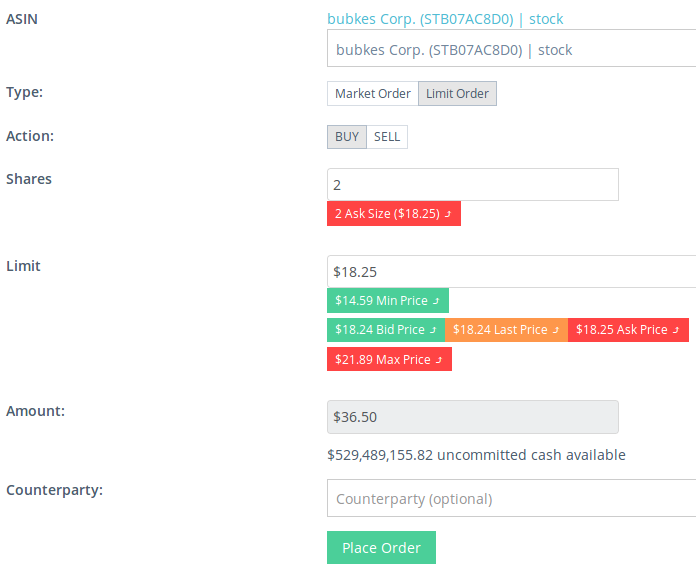 The fixed data includes the date of the fixing, OHLC prices for the timespan between two fixings (or the start date of the listing for new listings), the current bid and ask prices, the demand and offer of shares (the sum of shares in buy and sell orders), the number of outstanding shares and the trading volume (the sum of volume traded of the listing within that period). For active companies there is more data in a second table. 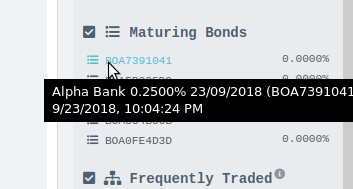 Cash sum, cashflow (the change of the bank account within that period), bonds volume, repos volume, system repos volume, book value, book value per share, net cash, net cash per share and the amount of central bank reserves. 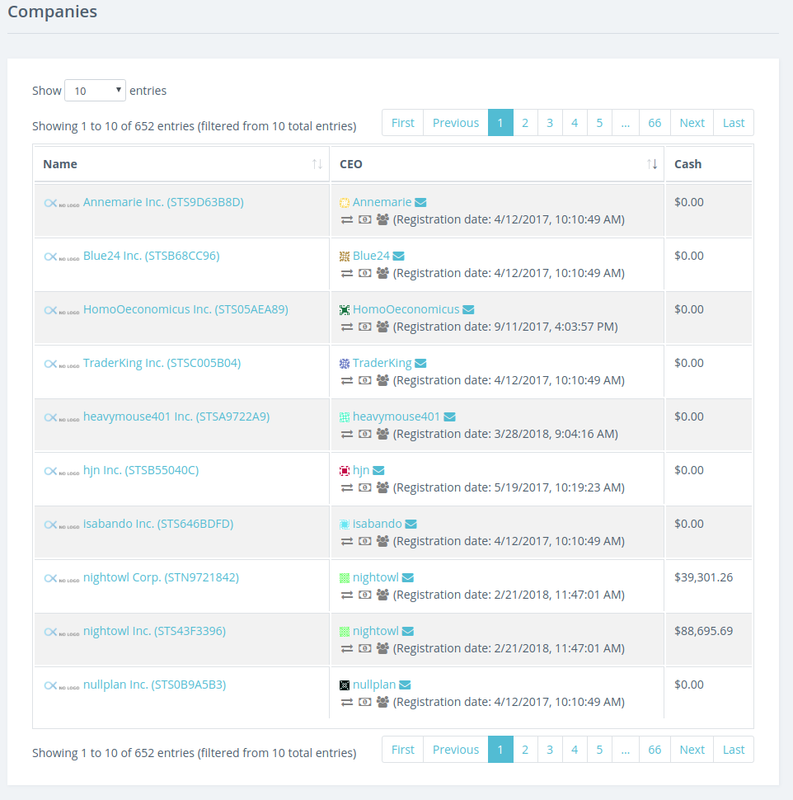 The tables can be found on every listing profile page. 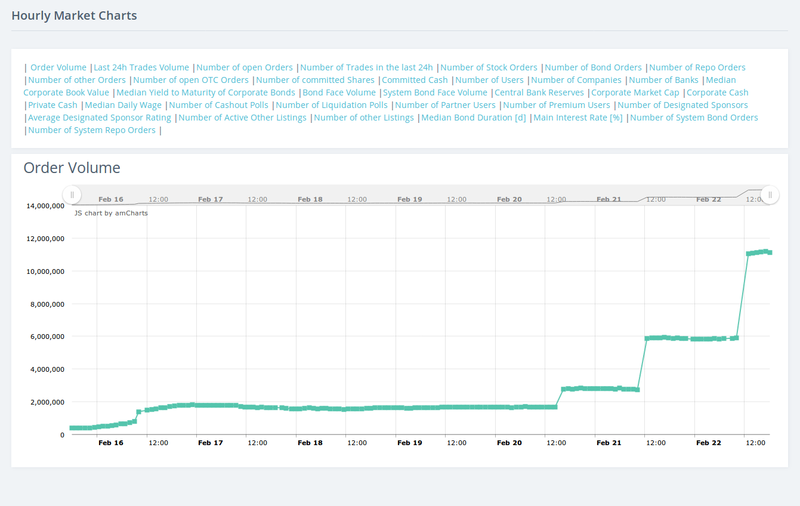 Once there is sufficient data, charts for the different data columns can be added in an upcoming release. 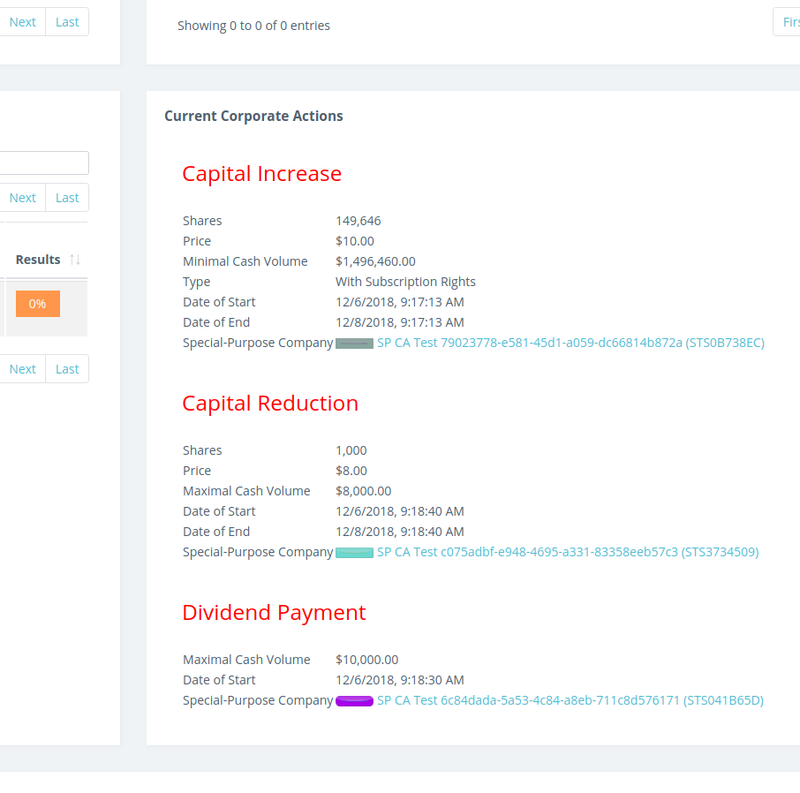 Net cash, net cash per share, book value and book value per share are shown in the company details box on stock listing profiles. 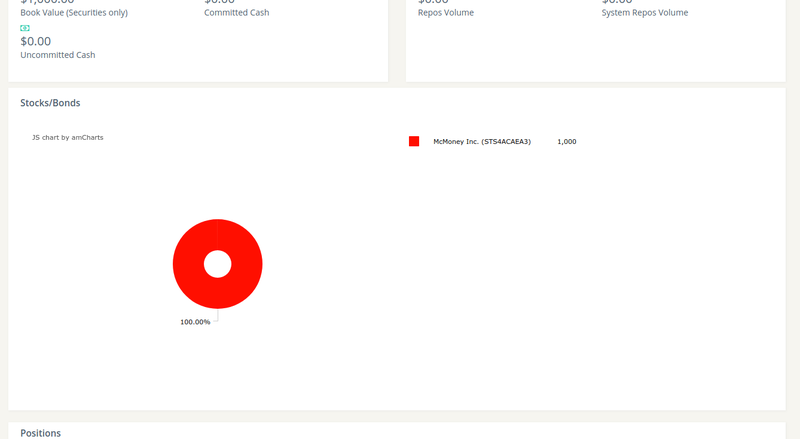 The net cash per share and book value per share values appear green when the current ask price is below the value, red when the ask price is higher and in the usual grey if they are the same or there is no share on the sell side at all. 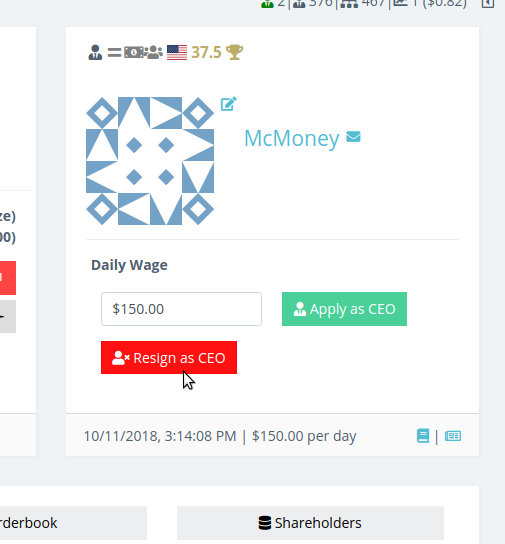 To avoid employment CEO poll spamming every player can only have two active ceo employment polls per company. 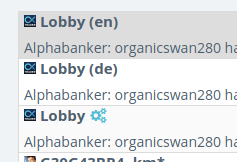 The Alphabanker creates Lobby Chats according to the used locale. 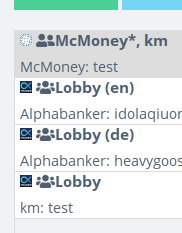 There is a german and an english speaking one (besides the existing Lobby Chat). All are still public chatrooms. 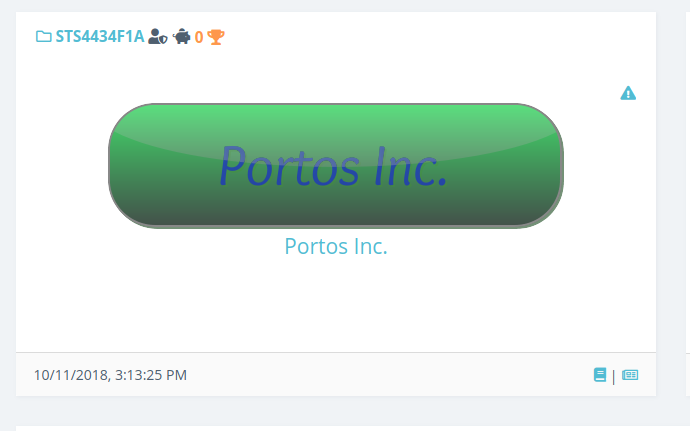 New players will become members of the fitting chatroom automatically. 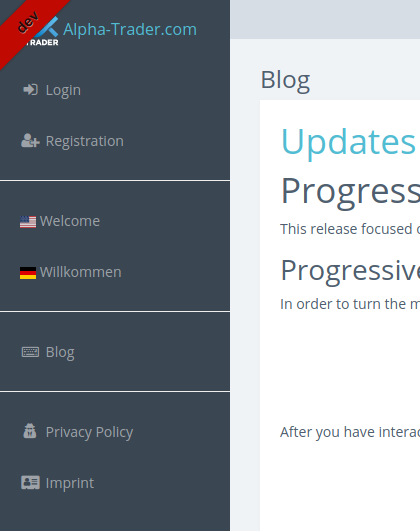 You may have noticed the new Blog menu item. 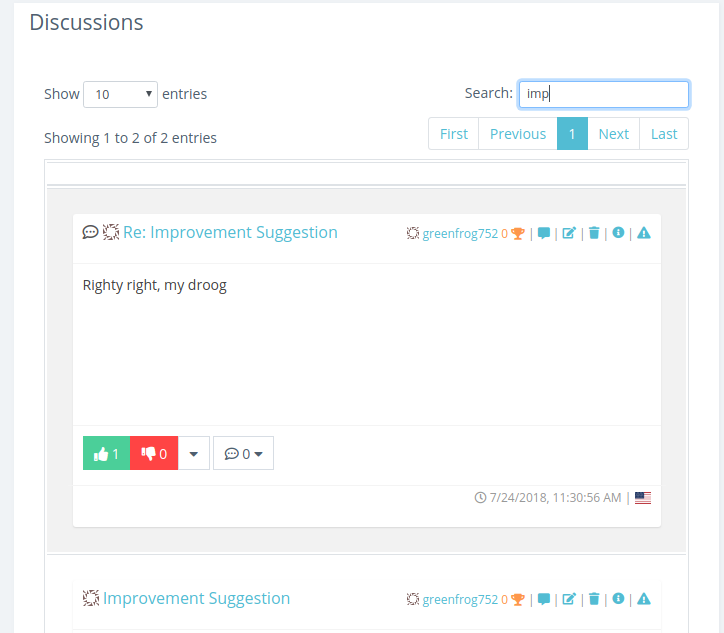 It's basically the same content as the changelog but it is available without being logged in, allowing visitors and search enginge crawlers get more information without the need of logging in. 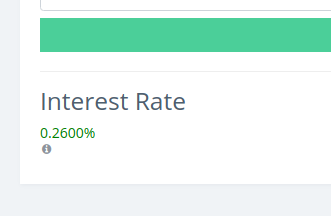 The banking page now shows the current interest rate on central bank reserves. 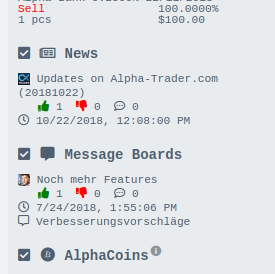 Alpha-Trader.com is now listed on several browsergame top list websites. 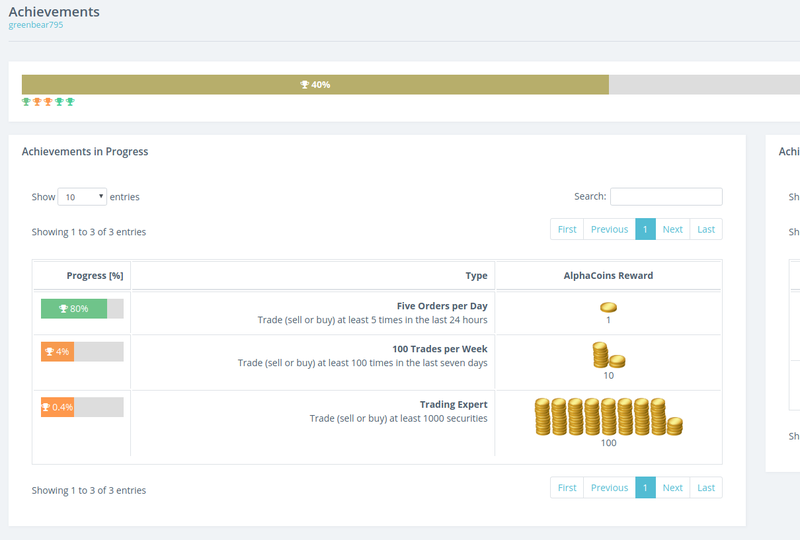 In this release we focused on helping you track your progress with achievements. 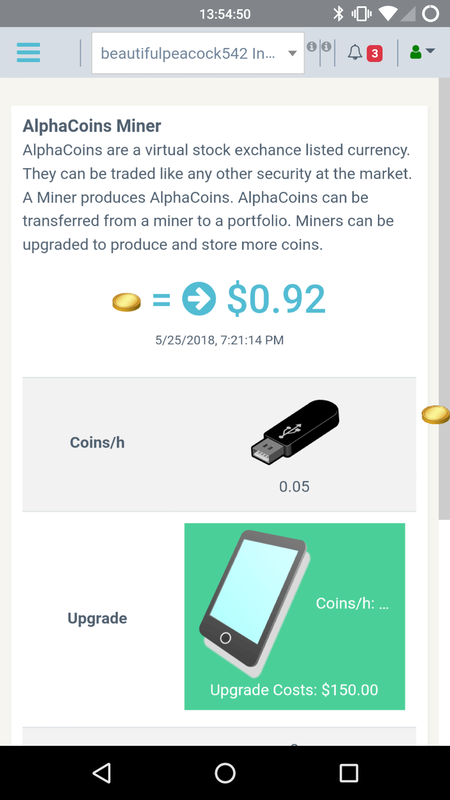 As a reward you get one, ten or 100 AlphaCoins for the currently existing achievements (more to come). You can track your progress for each achievement that you haven't reached yet. Achieved ones are shown in another table. 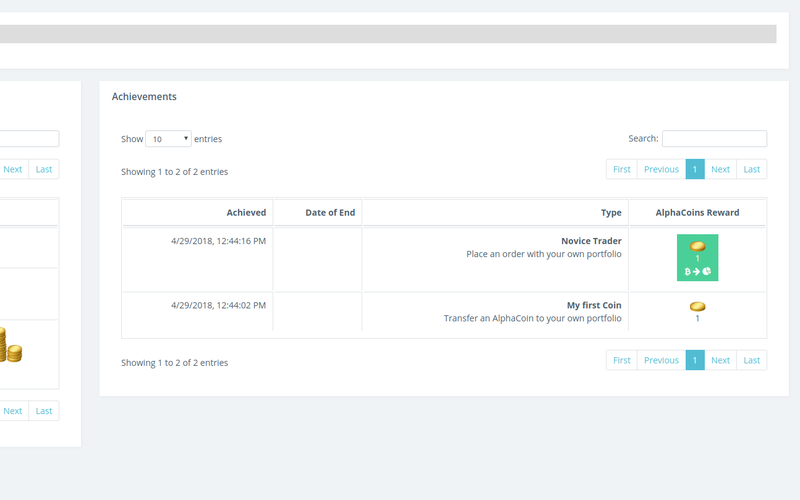 You see when you have reached it and you can transfer you coin reward to your own portfolio. Once you have reached a periodic achievement you can check the Date of End column when you can get it the next time. 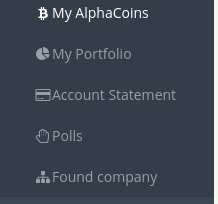 Take care that you need to click the coin reward button within that period to get your AlphaCoin. 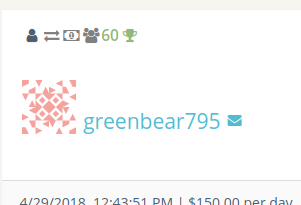 Once you have reached an achievement you will get a popup notification about it. 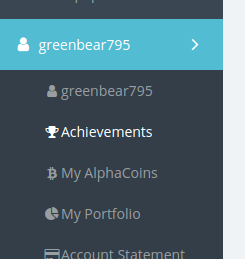 You can check your achievements via the sidebar menu. 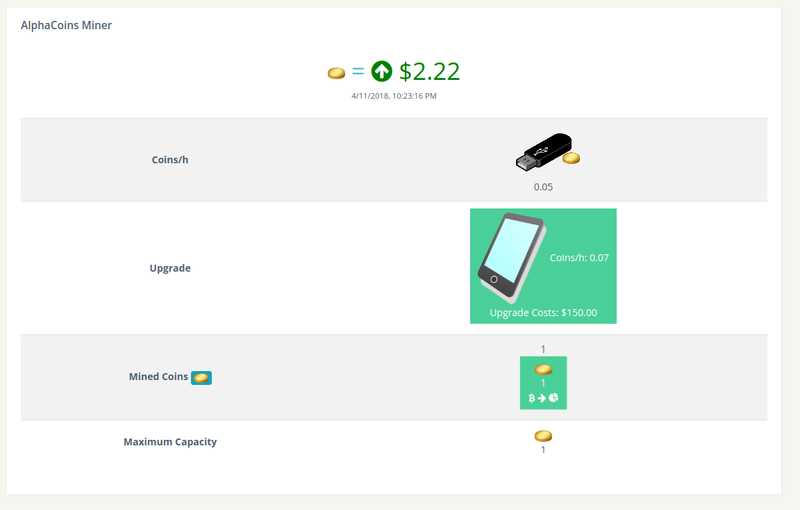 The sidebar changes when there are coins to fetch. 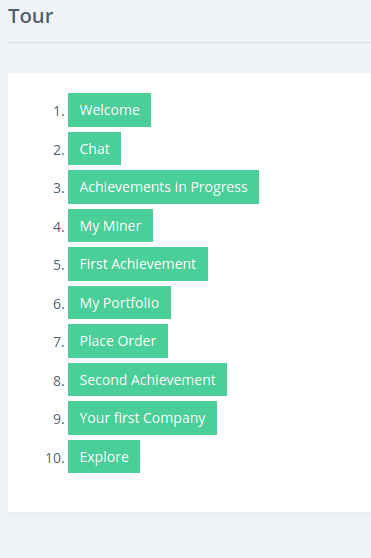 Wherever a user is shown you can check his/her achievement level. The color and number reflects the percentage of how many achievements the user has reached. 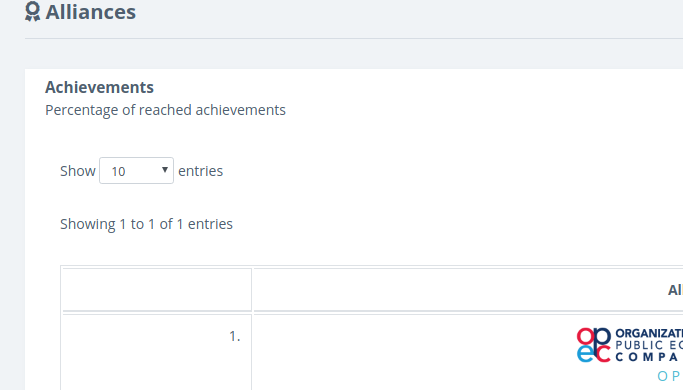 You can check a user's achievements by clicking on the achievement level or trophy icon. 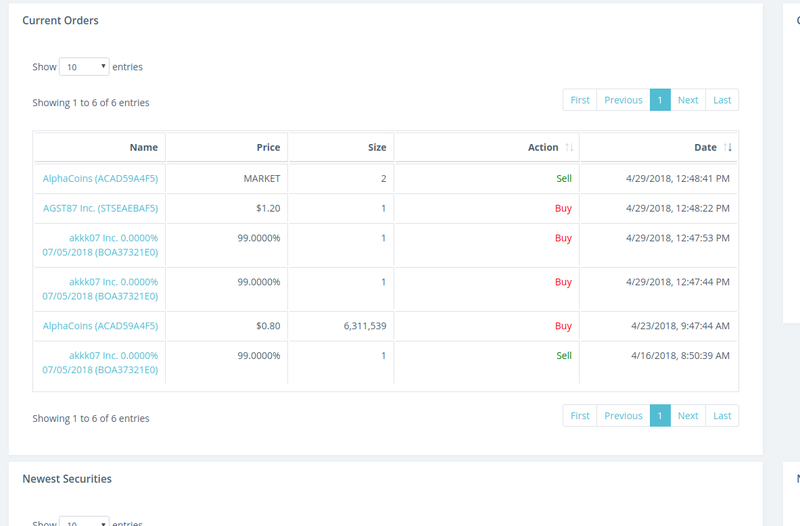 The Live Market Statistics page shows the current orders. 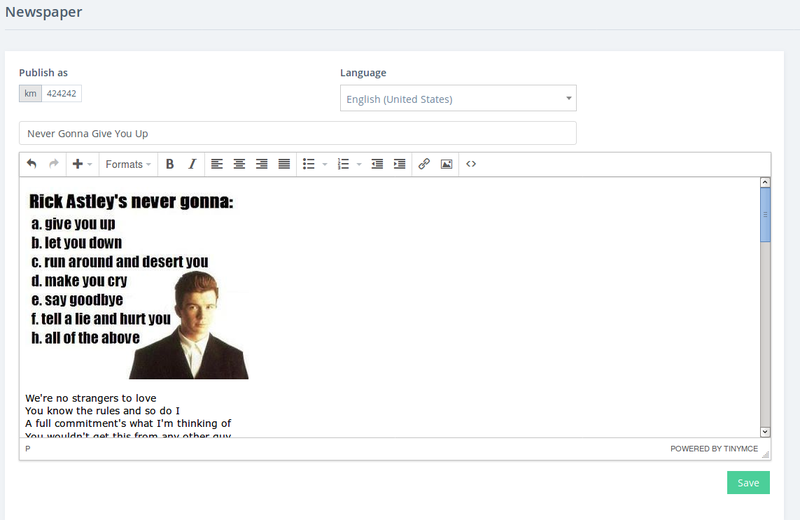 It is now possible to filter textual fields by not containing a string. 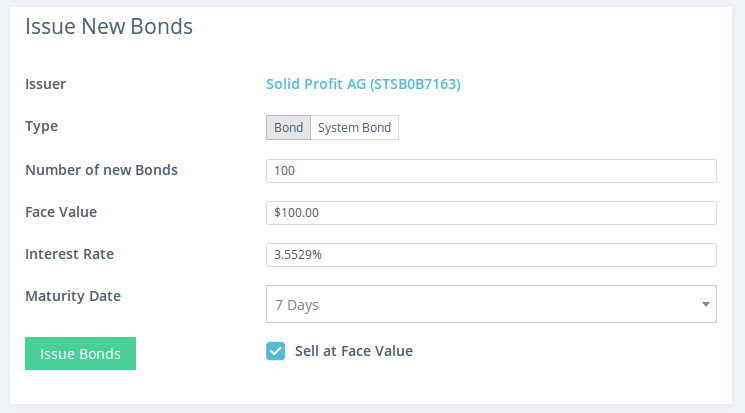 It is possible from now on to liquidate Companies which hold own bonds and repos. 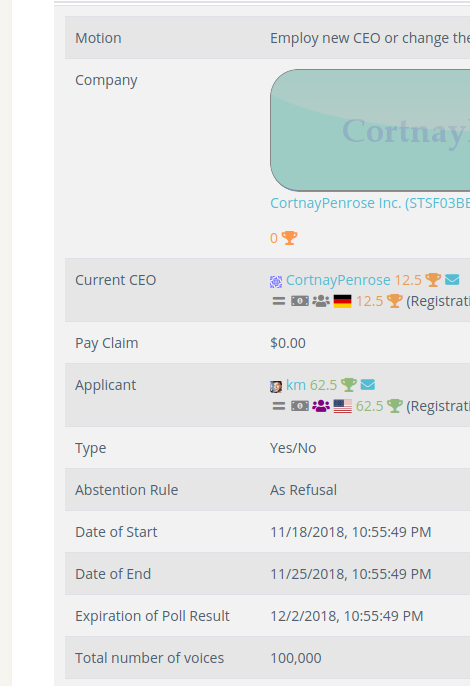 There is a new button in the employments section on your user profile page. 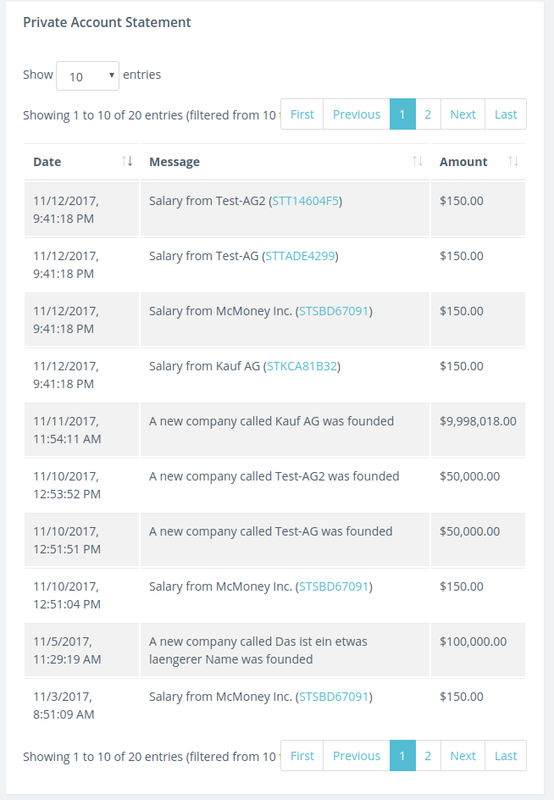 By clicking it all payable salaries of your controlled companies will be paid. 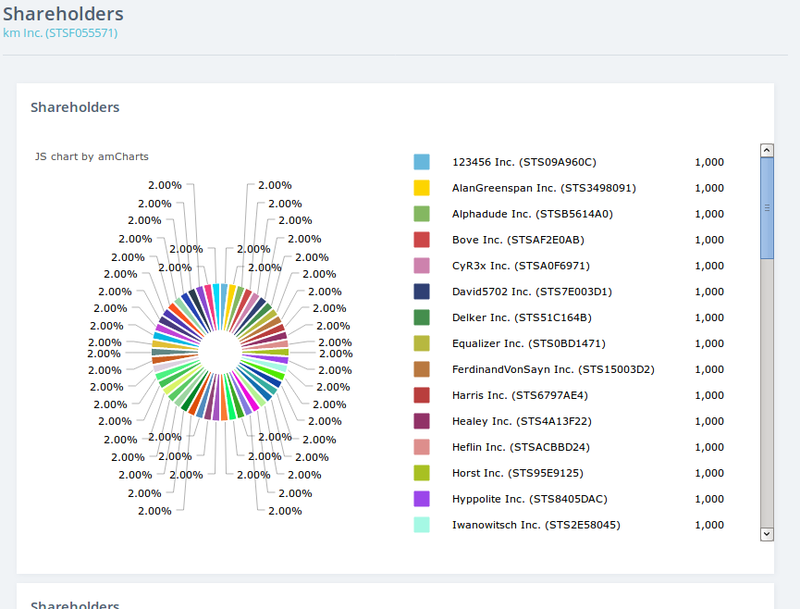 Instead of straying around in huge tables there is now a new way of finding securities to invest in: Market Filters. 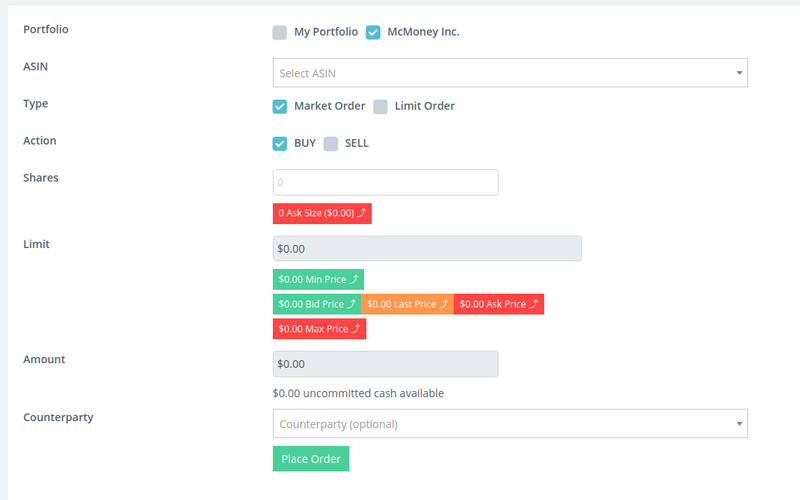 Market Filters let you find securities by defining your own criteria. 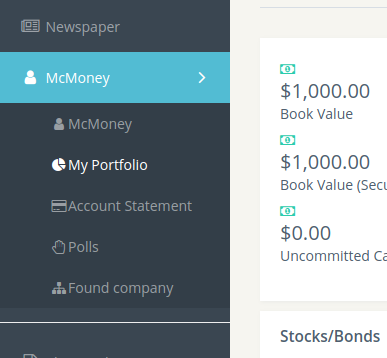 In order to find securities all criteria need to match. Applying one single criterion that does not match will lead to no results at all. 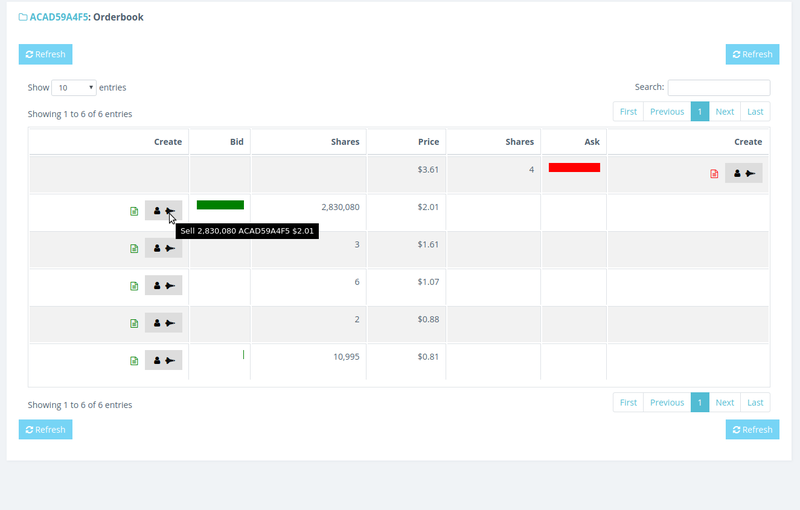 It is possible to share your filters with your trading buddies. 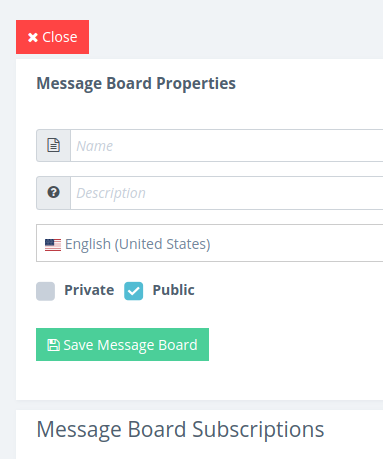 The first box of the market filters lets you manage your saved filters. In it you can import a filter by its filter id. 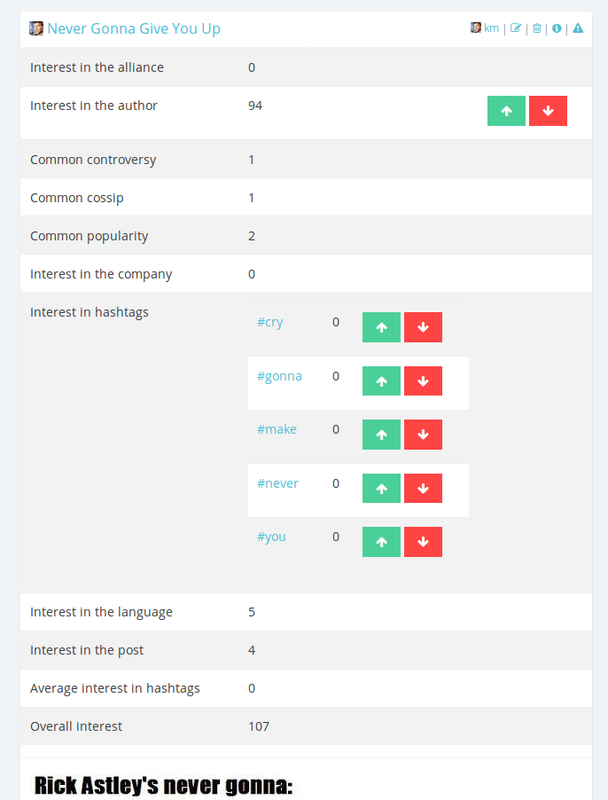 The second box shows the filter's criteria. First you can specify a name for the filter. This is optional but by doing so you let the system save the filter once you run it. 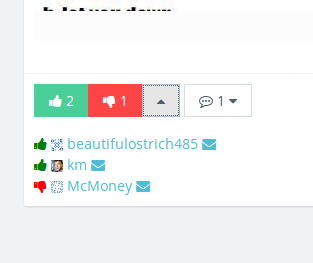 Filters are identified by their names. Hence you can overwrite an existing filter by setting its name on a new filter. If you leave the field blank you can still run the filter but be aware that once you leave the page it will be gone. 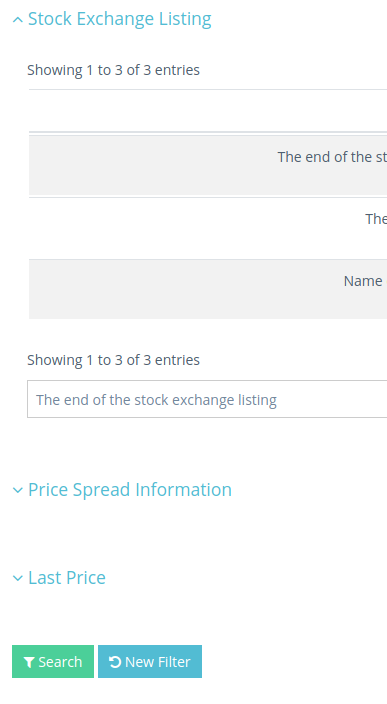 Currently a filter offers three filter groups: Stock exchange listing, Price Spread Information and Last Price. 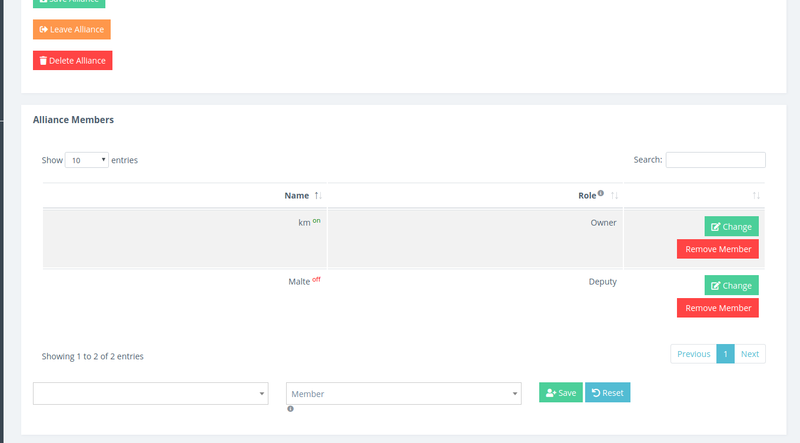 In a filter group you can combine several criteria. A criterion consists of three parts: A property (e.g. the name of a security), an operator (e.g. 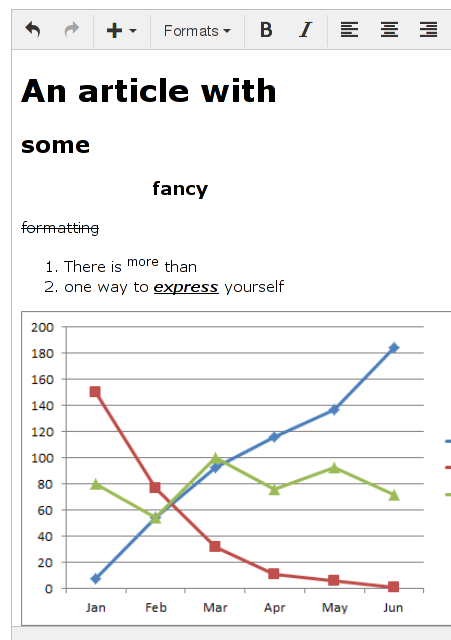 'contains' for matching textual parts) and a value (e.g. 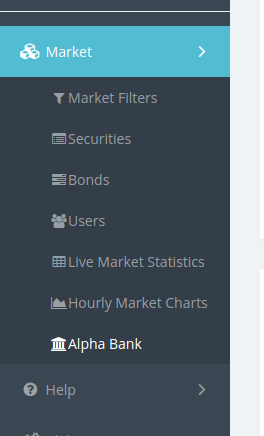 'Alpha Bank' for all securities containing that name). 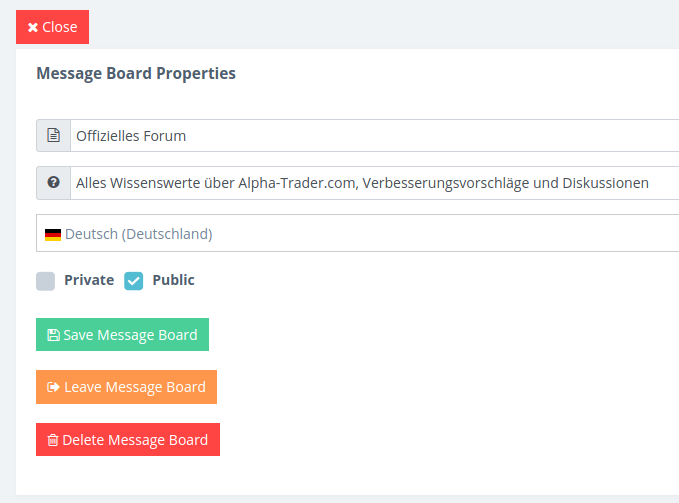 In the table you find two more columns: Description and a column with a Delete button. 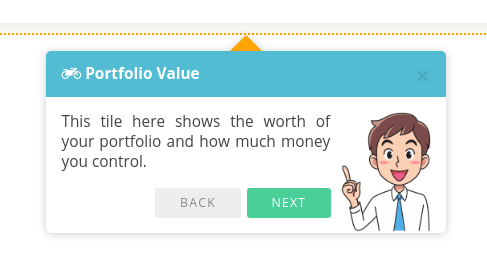 The description explains the property, the button lets you delete the criterion. Below the table there is an add criterion row. 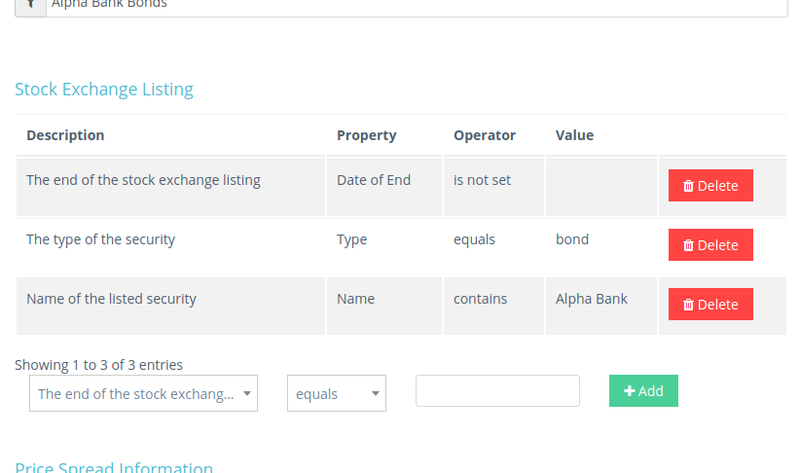 It let's you pick the property you want to look for, the operator and the value. If you delete a criterion those three fields will be filled with the content of the deleted criterion. 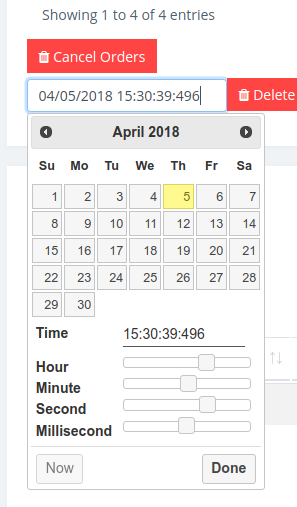 For date properties you can use a handy date picker widget. If you choose the operators "is set" or "is not set" you cannot or do not need to supply a value. 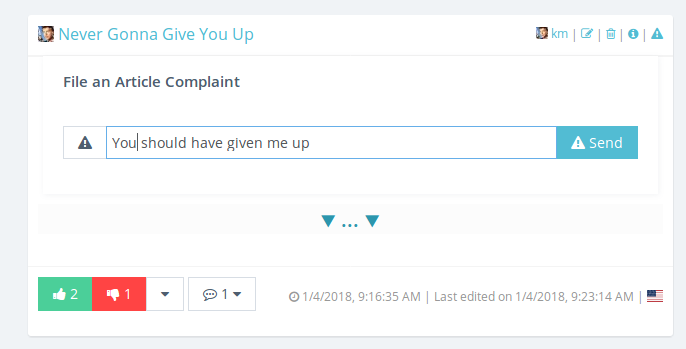 Hence the text field does not show in this case. 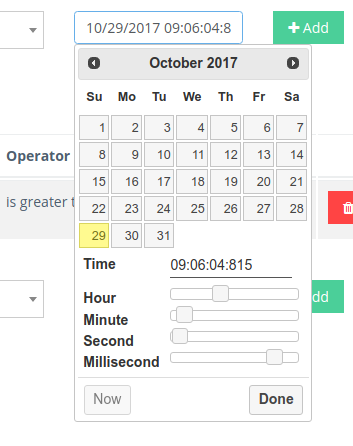 In the image above you can see a criterion that matches if the end date of a security is not set. 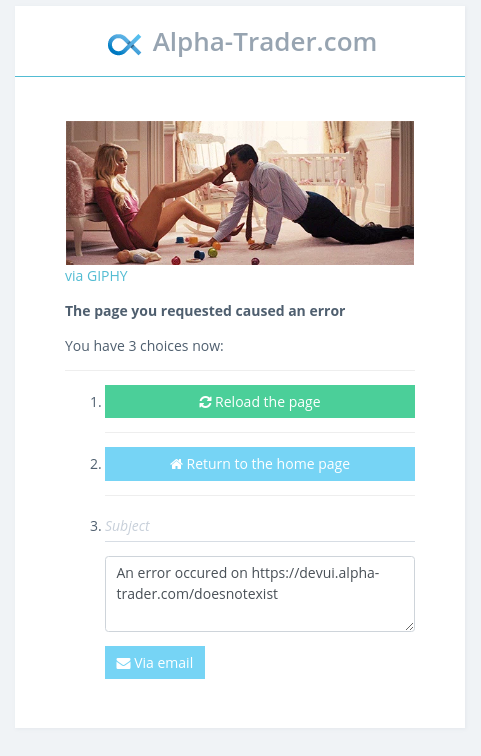 This means the listing of the security has not ended. 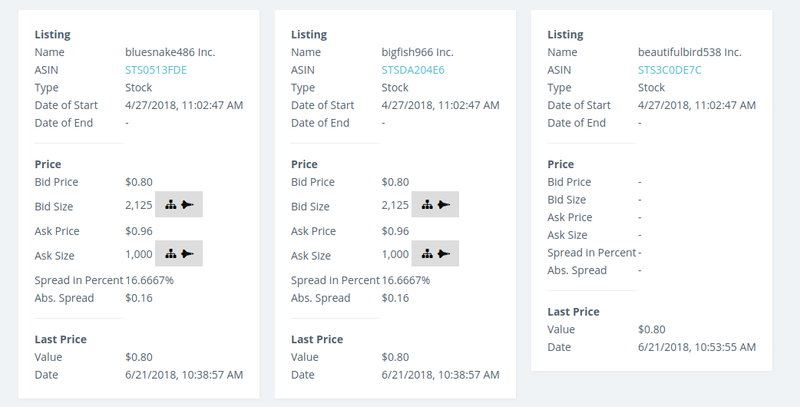 You will find listings which are still active. 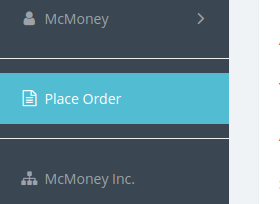 If you chose "is set" however you would find past listings. Some properties have a fixed set of possible values. 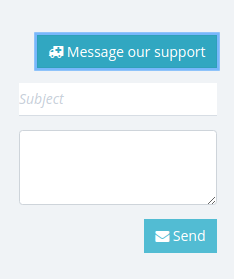 The textfield is replaced by a selection dropdown box for those. Once you add or delete a criterion the filter will be run. 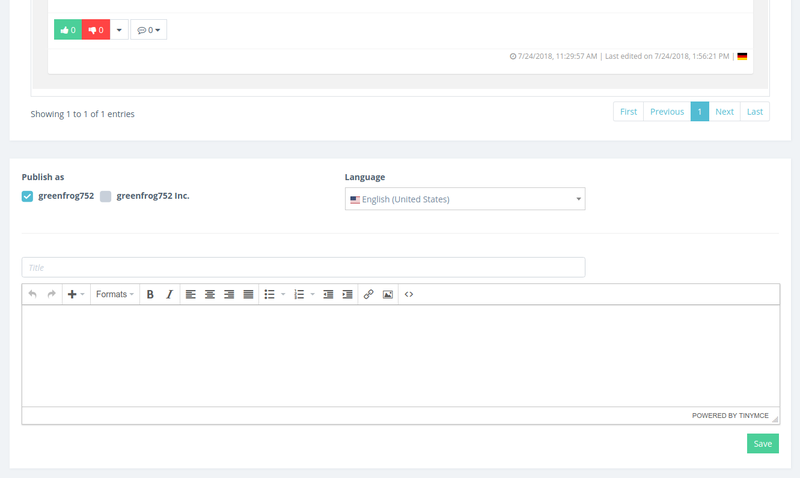 You can manually trigger the filtering process by clicking on the search button below the criteria. To reset the criteria you can press the new filter button. It does not change a saved filter. It only empties the form. 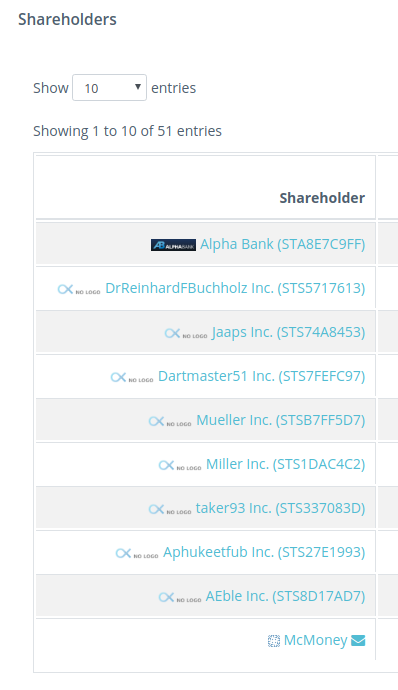 At the end of the market filters page are the results of the search: The matching securities. 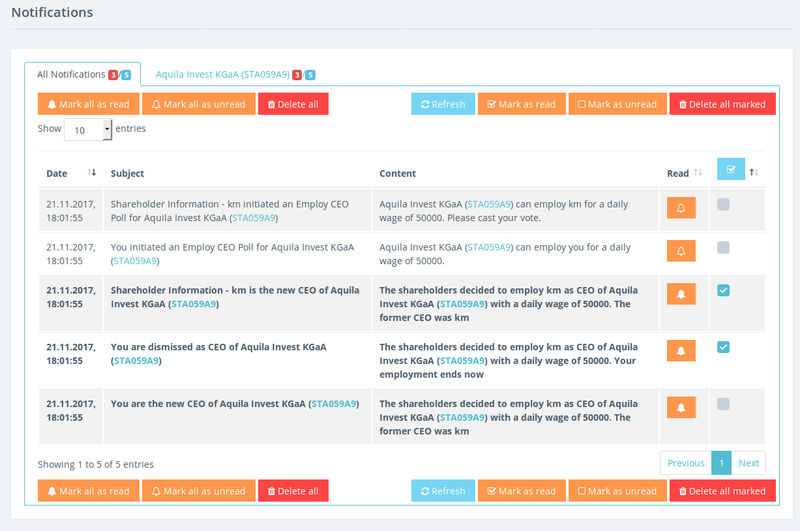 Now you can click on the ASIN to further inspect the security and eventually invest in it.